1. 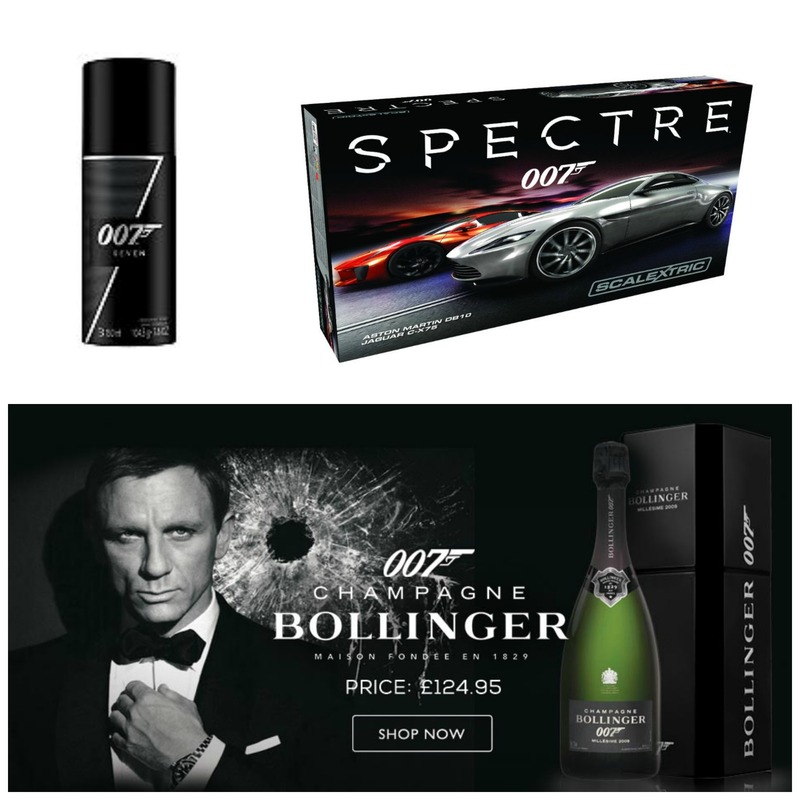 Some James Bond Aftershave – here are some great 007 ones from £8.95 for the Deodorant Spray. 4. For Dads who are big kids really (That’ll be all Dads then!) A Scalextric James Bond Set. 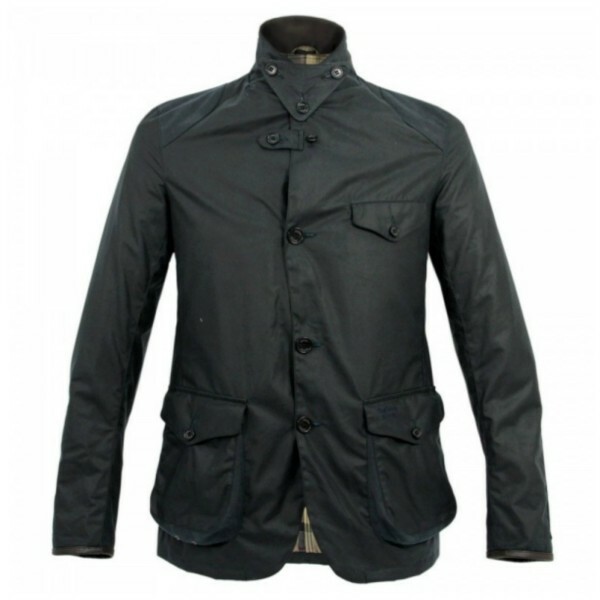 5.Barbour James Bond style jacket for only £385! Dads and brothers are sometimes very hard to buy for, so what better idea than something to do with James Bond? We hope you like our selection of James Bond gift ideas, do you like James Bond? Have you seen the new film? Can I still have the champers though? The barbour jacket is fabulous. My husband isn’t into themed things but I know he would really like the jacket. I haven’t seen the new James Bond film but I know alot of my friends would love these presents! There are some great ideas here. My brother is a James Bond fan and I think he’d love any of these. He’s had the jacket thpugh! WAYYYY too expensive. OOh some cool Bond themed ideas here, great for Xmas! I am a huge James Bond fan I can’t wait to see Spectre. Those are some great gift ideas. Jenni – Odd Socks and Lollipops recently posted…Happy 30th Birthday to me! I love James Bond movies, I haven’t had the chance to watch Spectre yet. The gifts are very cool too. I like the Barbour James Bond style jacket the most. My boyfriend would look awesome in it! 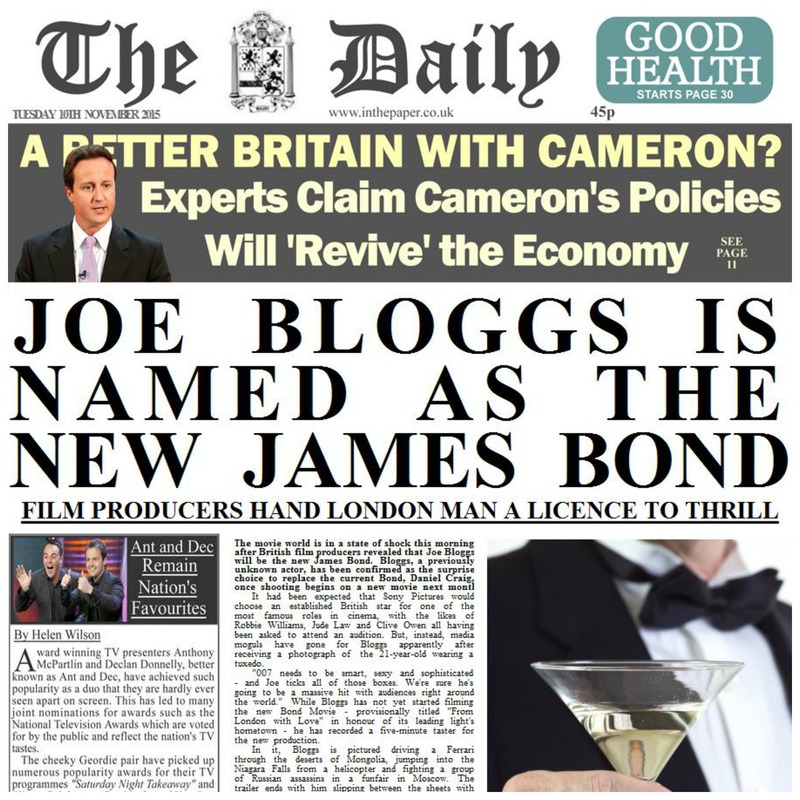 Ha ha I love the newspaper front page! I love James Bond! Great suggestions!!! I don’t think I don’t know anyone doesn’t like James Bond. I’ll look into these. Thanks. Some fantastic gift ideas for any James Bond fan, fab post. oh wow I am loving that Jacket … in fact I think my hubs would love it too! Aww James Bond! My boyfriend will love the ideas! I am gonna show him this post! I like the theme. That jacket is very cool looking. I think I would be happy if the wife got me the car! These presents are perfect for a James Bond fan, great ideas!